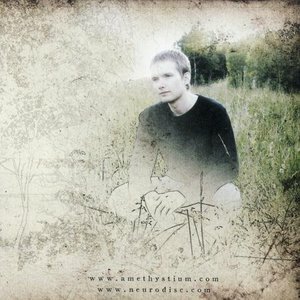 Amethystium is a music project aiming to create and explore emotive imaginary worlds in sound. Primarily electronic-based, the compositions traverse a span of moods that includes both light and darkness, bliss and melancholy. They range from the purely relaxing to the subtly intense, creating dreamlike and evocative musical journeys. Formed by Norwegian composer/producer ?ystein Ramfjord, Amethystium started out independently with a demo release in late 1999. Formed by Norwegian composer/producer ?ystein Ramfjord, Amethystium started out independently with a demo release in late 1999. After quickly becoming something of an underground phenomenon through word of mouth, the project was signed to then EMI/Capitol subsidiary Neurodisc Records and released a string of three Top 10 Billboard charting albums in the US. Amethystium is his solo mission. The name is not as memorable as Tangerine Dream or Deep Forest, yet musically, Amethystium shares common ground with both acts. Ramfjord's mix of electronics, pop-dance rhythms, and some requisite sonic oddities (subdued Middle Eastern vocals, Gregorian chant, random dollops of native flutes) yields solid results, offering sufficient style and mystery to merit repeated play on an out-there, candlelit night. ?ystein Ramfjord's music career started when he let millions of people around the world download mp3s from the first Amethystium album for free on the huge www.mp3.com site. He was only 18 when the world heard his music. After a short time he was one of the most popular artists on mp3.com and got millions of fans in the world and many of them wanted to buy the music on CD albums.